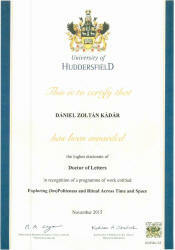 Zoltán Dániel Kádár, part-time Senior Research Fellow at RILHAS and Professor of English Language and Linguistics at the University of Huddersfield, has been awarded the higher doctorate of Doctor of Letters (D.Litt). This is the highest academic degree at British and Commonwealth universities in the areas of social sciences and humanities, which is awarded to distinguished senior researchers with outstanding academic results. The D.Litt degree is awarded on the basis of a decision of a committee consisting three independent internationally leading academics. 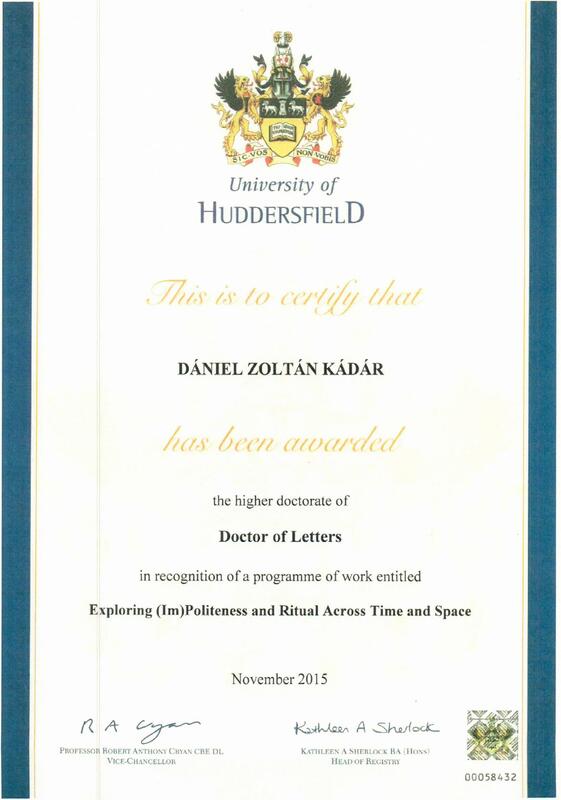 Zoltán Dániel Kádár has received the degree in recognition of a programme of work entitled Exploring (Im)Politeness and Ritual Across Time and Space, which includes his representative publications.